James U. Jackson believed the bluff area along the Savannah River would be an ideal setting for a town. 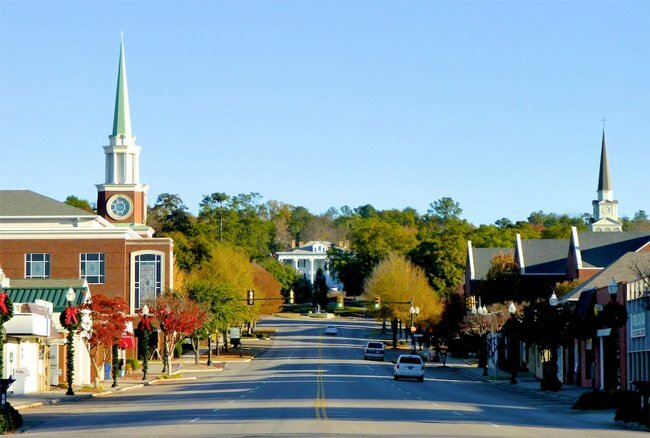 He developed plans for a 600-acre community in 1902, and North Augusta was born. At that time, there was only one route across the river to the new town. Wanting to facilitate travel, Jackson obtained financing and built a new bridge. Today, the Thirteenth Street Bridge still leads to the heart of North Augusta. 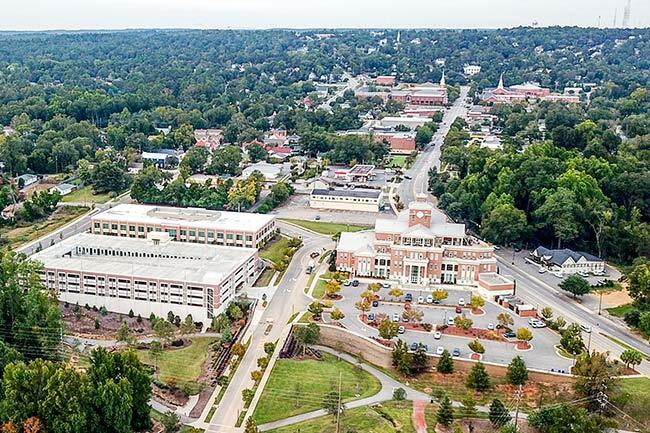 In the photo below, you can see beautiful Lookaway Hall where Georgia Avenue splits with Carolina Avenue. 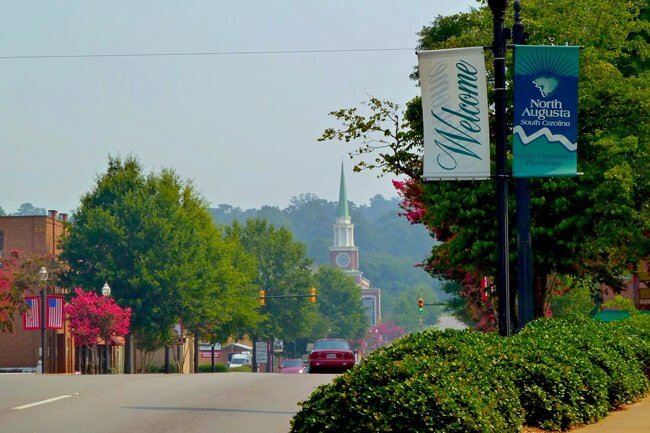 Georgia Avenue is also home to the North Augusta Municipal Center and Brick Pond Park.